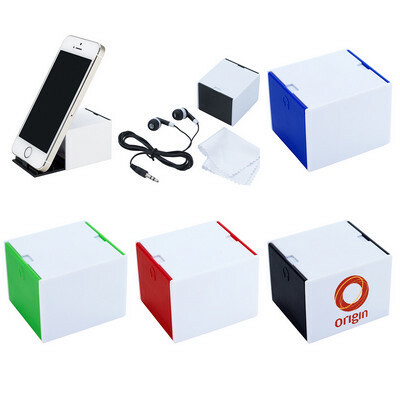 Features: This 3-In-1 desk cube contains a pair of earbuds with a 47" long cord, built in phone stand and microfiber cleaning cloth for your phone and computer screens. Price includes : 1 COLOUR 1 POSITION PRINT. Setup is included.